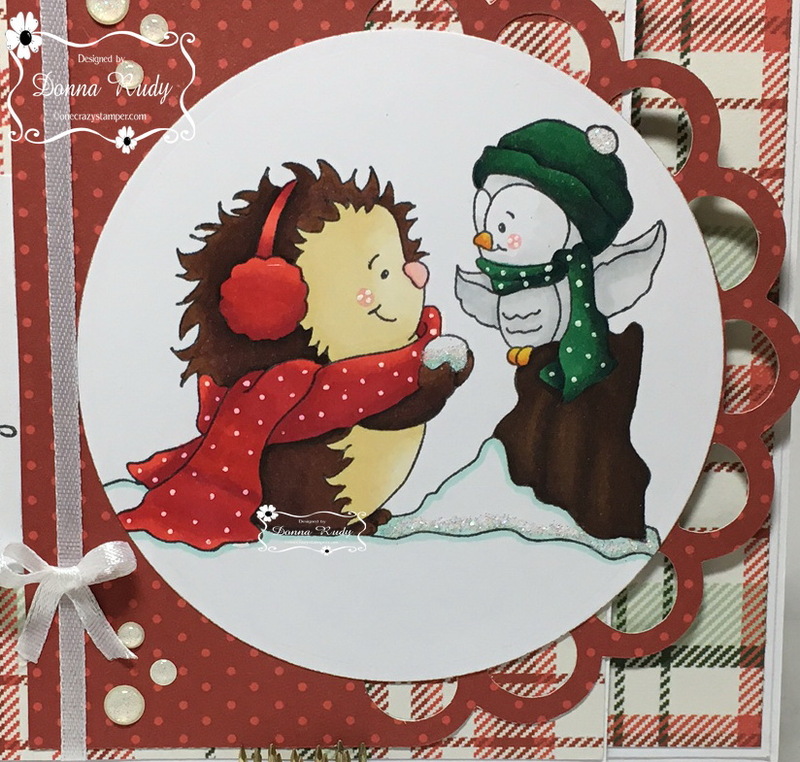 Karen Letchworth, OCS' Saturday Guest Designer is back with another adorable card, using the adorable "Lil Snowbird" stamp from High Hopes Rubber Stamps. Hello, and thanks for stopping by today. 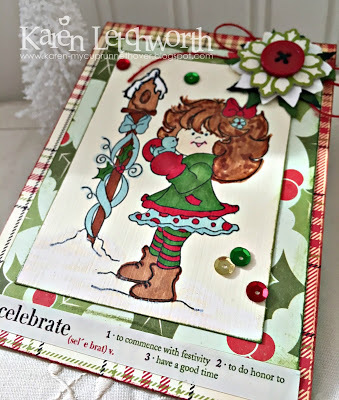 It's Karen Letchworth today, and as some of you may know, I've been doing a Guest Design spot with One Crazy Stamper during November and December featuring several sweet High Hopes Stamps, and today I am sharing my last card for this Guest Design spot. The stamp I used for this card is called Lil Snowbird, and I colored it in using my Copic Markers. The patterned papers I used for this card are from October Afternoon, and the flower and sentiment sticker are super old (from my stash) and are from Making Memories. I added a bow tied with Red Burlap String. I also added a few sequins, and I inked the edges of my papers with coordinating colors of Tim Holtz Distress Inks. 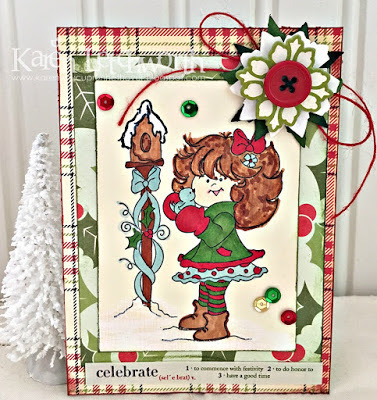 There is always a fun challenge taking place here on the One Crazy Stamper Blog, and lots of fabulous products at One Crazy Stamper. I hope you will check it out. I've sure enjoyed my time creating with them, and I'm grateful to them for having me as a Guest Designer. Hello, Thanks for peeking back in today. High Hopes Friends are for Sentiment found here! Singing Crazy birds found here! The image is coloured with Copics, snowy background is created with a White Sharpie Marker using various sizes of dots. 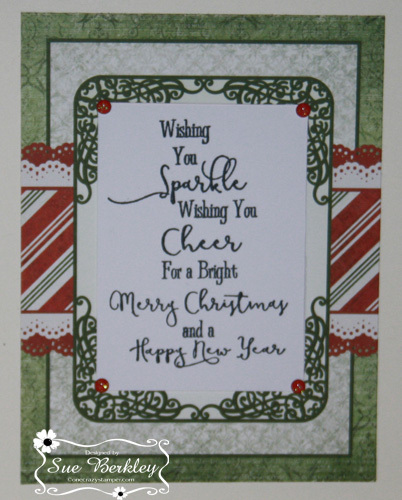 Embossed knit background along with aqua and green details too! Have a great weekend and Happy New Year. Wishing you a very crafty and happy 2017! Finally the year has come to an end and I'm Anita here wishing you all a very happy and fun -filled New Year. 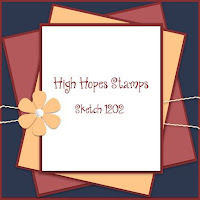 High Hopes Stamp has loads of new and exciting things for you. The OCS team also has many beautiful inspirations to share for you. My card today is a simple one and I loved colouring this image. 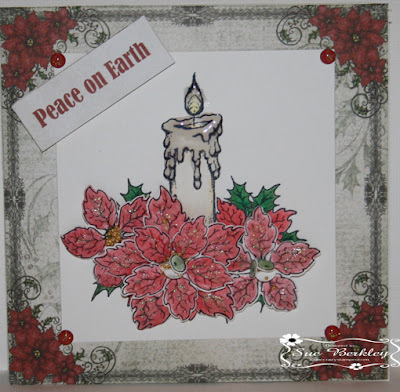 High Hopes Stamp--Carolers, Steadler Color pencils, Mulberry flowers, Pattern paper from Stash. Do join us for the Monthly Challenge at the OCS blog. Just two more days to go. Keep crafting and have a good day !!! Happy New Year One Crazy Stamper Fans! The hustle and bustle of Christmas is technically over but if you're like me, I don't get to see some of the special people in my life until after Christmas. My god daughter is one of those special people who I will see soon. 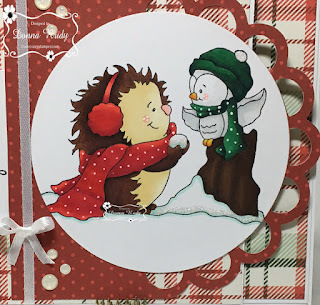 She loves hedgehogs so I used the "Kovu and Hootie" stamp from the new Woodland Friends new release at High Hopes for her Christmas card. Bear with me......this is my last Christmas card to share <smile> for now. I coloured these cuties using alcohol markers and then cut them out with a circle die. A white gel pen added some polka dots to their scarves and cheeks and some Hero Arts glitter added some bling to the snow. Next, I dusted off my Cricut to cut out the red background with a scallop edge to mount my circle on. 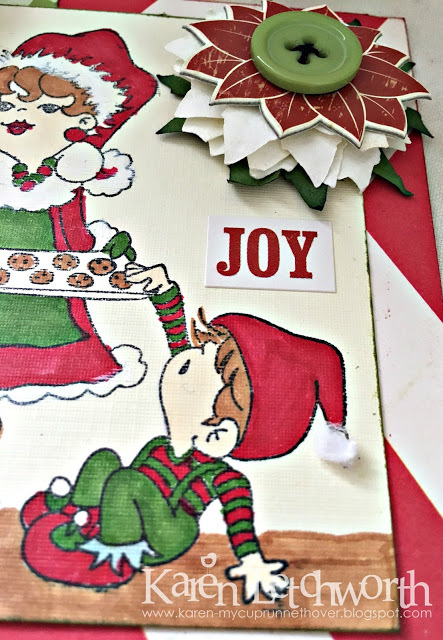 This was added to some fun plaid paper and a ribbon and some sparkly gumdrops finish it off. 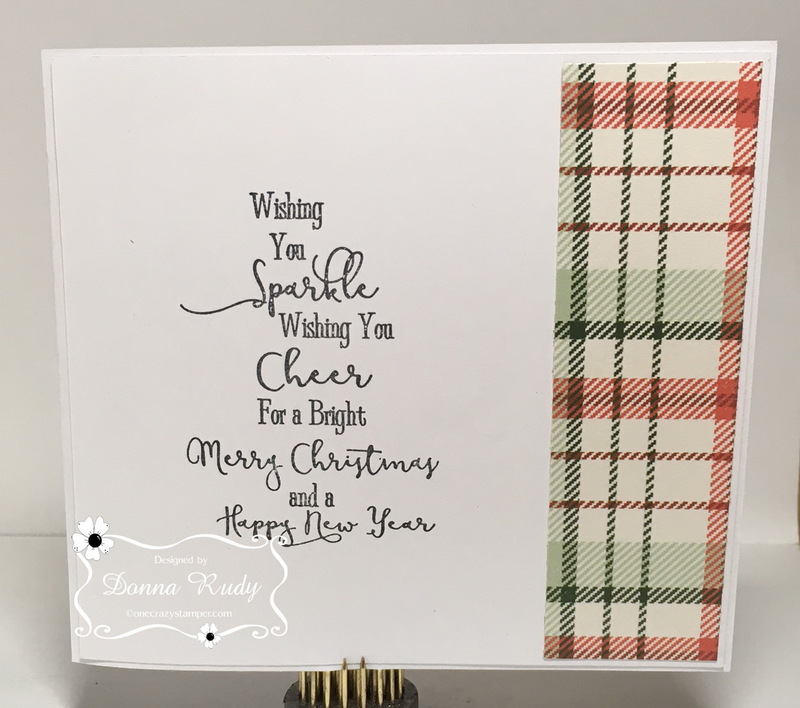 I added some plaid paper to the outside edge and finished off the inside leaving just enough room to include a personal, handwritten message. 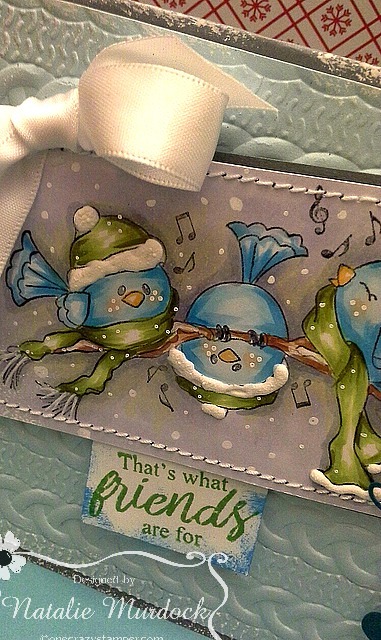 Our December Challenge is Friends Always and there is a sketch to get your creative juices flowing. Click here to play along - we can't wait to see what your create! I hope you all had a good Christmas and was able to spend some quality time with your family and friends. Well, the year is almost over and a new one will be starting next Sunday. 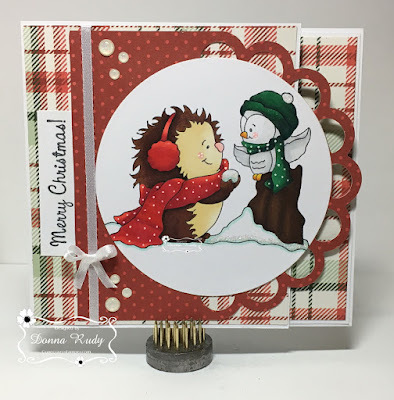 For my last post of the year, I have used the adorable Kovu and Leo stamp from the adorable Woodland Friends collection by High Hopes Stamps. 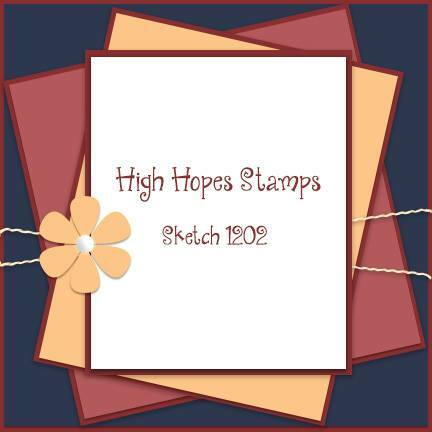 There are still a few days left to enter this month's challenge for a chance to win 2 unmounted High Hopes Stamps of your choice. 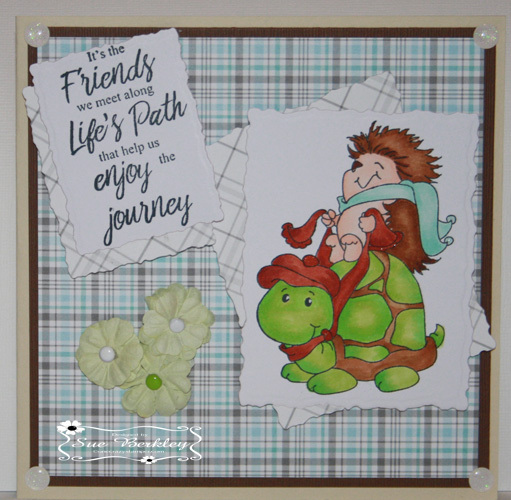 If you have time on Sunday, do stop by for a brand new challenge along with a new release from High Hopes Stamps. Welcome back and I hope you are having a nice holiday time with your family/friends. I have another great stamp to share with you from the fun new relase High Hopes Stamps are having this month. The challenge here at One Crazy Stamper is "Friends Always", what an awesome challenge, and with a bonus to the challenge is the wonderful sketch for you to try out as well. 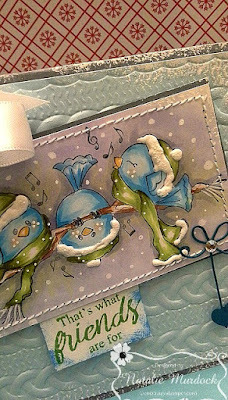 My card was fun to color up and add some hearts from a die as some embellishments. I hope you can get into your craft room/space and be creative. 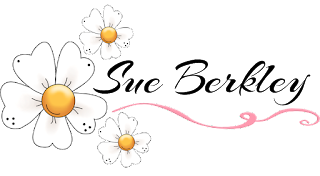 Remember Lora has wonderful prizes and she has wonderful array of supplies in her store too. Thanks again for stopping and till next time happy crafting, and Happy New Year. Cheers! Supplies: HH Stamps, Copic Markers, Memento Ink, Heart Dies, Foam Dots, Twine, Liquid Glue, Bo Bunny Pattern Paper. Wishing everyone a Wonderful Christmas with family and friends, and a Happy New Year. 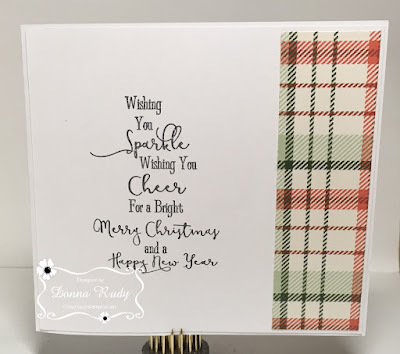 from Lora (owner of One Crazy Stamper & High Hopes Stamps) and all the Divas from the One Crazy Stamper and High Hopes Stamps Design Teams. 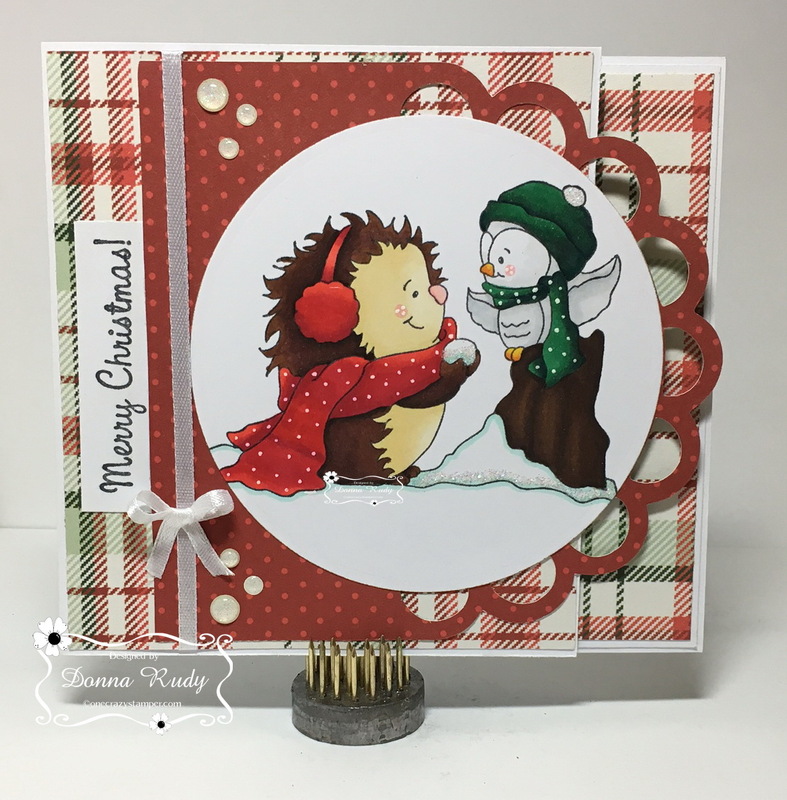 Karen Letchworth, OCS' Saturday Guest Designer is back with another adorable card, using the adorable Mr. & Mrs. Claus stamp from High Hopes Rubber Stamps. Hello, creative friends! It's Karen Letchworth here today sharing another card I created featuring a more light-hearted and funny stamp from High Hopes Stamps (one I wouldn't normally pick for myself). But that's part of the fun in Guest Designing....you sometimes end up creating cards with stamps or supplies that you might not normally use, and it helps to push you creatively. 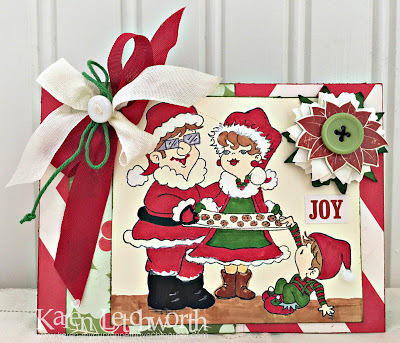 I used this fun stamp called Mr. & Mrs. Claus and I used my Copic Markers to color it in. 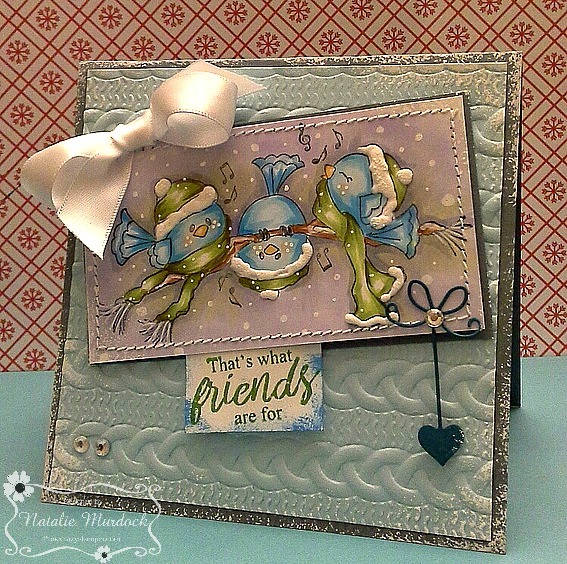 I used some Carta Bella patterned papers and inked them with coordinating Tim Holtz Distress Inks. There's a Making Memories white poinsettia and chipboard poinsettia on top of that which are from my super stash (old products), and I also added a seam binding bow with some baker's twine and a tiny vintage button. You'll also see that I added a tiny little fuzzy white pom-pom to the end of the little elf's hat. That's all for today, friends. 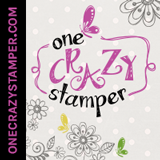 Be sure to check out all the fun products at One Crazy Stamper, and to also play along in the fun challenge taking place here on the One Crazy Stamper Blog. Thanks for stopping by, and may God bless your holiday season.